A simple and tasty fry with very less ingredients. Wash, trim its end and peel the skin of raw banana . Slice them into slightly thick pieces. Heat oil in a pan, add the chopped raw banana's and saute for a min. Sprinkle little water , cover and cook until they turn soft. Cook in low flame until the banana's are done. 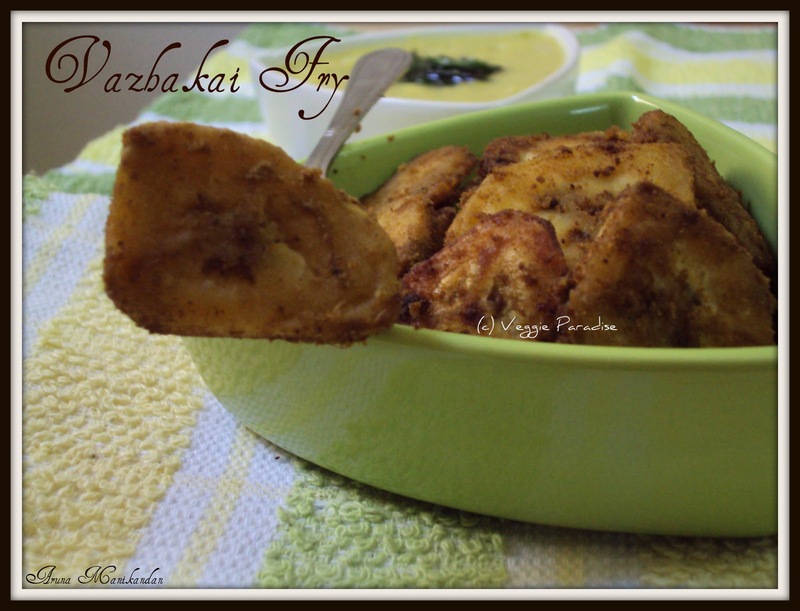 Tasty and easy Vazhakkai/ raw banana fry is ready to serve. 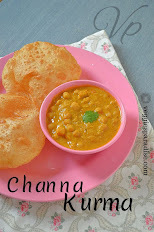 very lovely pic....simple n yummy....will try this for sure! hy Aruna...love to have this with my hot spicy sambar now..
wow, that is soooooooooooooooo tempting, love the idea of adding sambhar powder to it. 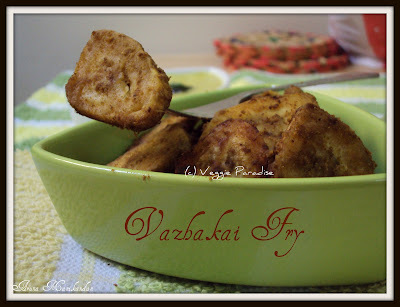 simple and yummy fry recipe.. looks very nice.. thanks for sharing dear !! My fav fry, love it with anything,sooo tempting..
Drool worthy so perfect...Beautiful clicks. I love this fried bananas .. one of my current favourite ! would love to have all of it now...so yummy..